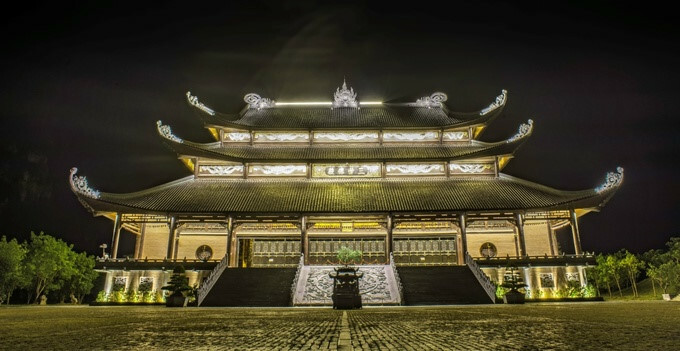 Bai Dinh pagoda in the northern province of Ninh Binh has been attracting many pilgrims during early days of the lunar New Year due to its remarkable Buddhist architectural structures and for the tranquil atmosphere and stunning beauty at night. 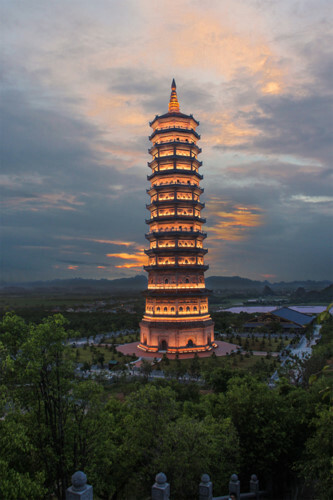 Bai Dinh is Vietnam’s largest pagoda. It is open to 9pm daily for visitors and is accessible around the clock during the festival. 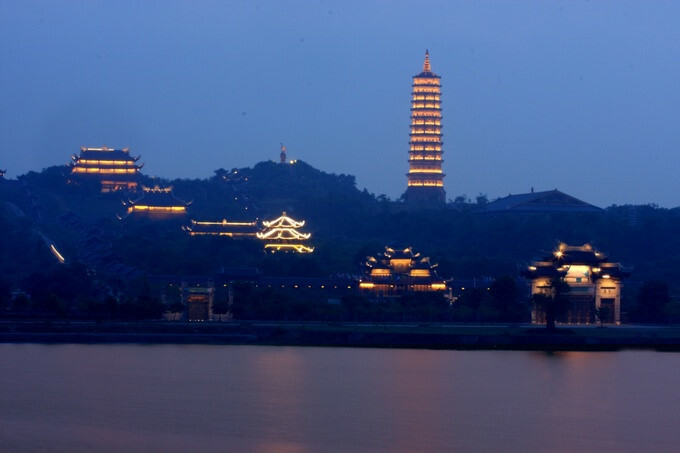 The highlight of Bai Dinh pagoda is the night time view of 13-storey Bao Thien tower. It costs VND50,000 for each visitor to go up to the tower by elevator. 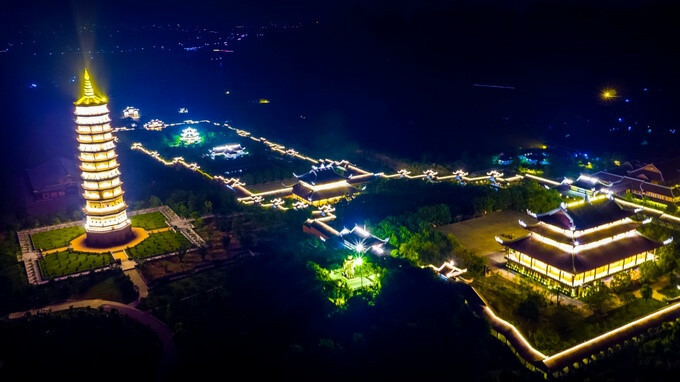 Bai Dinh pagoda festival opens on the 6th day of the first lunar month and lasts until March. 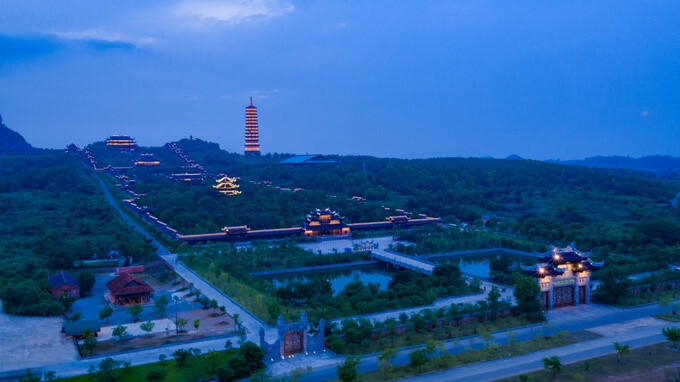 Visitors have the chance to discover giant bronze Buddha statues during the night time tour of the pagoda. Tam The temple is the highest structure in the pagoda and is home to many giant Buddha statues. 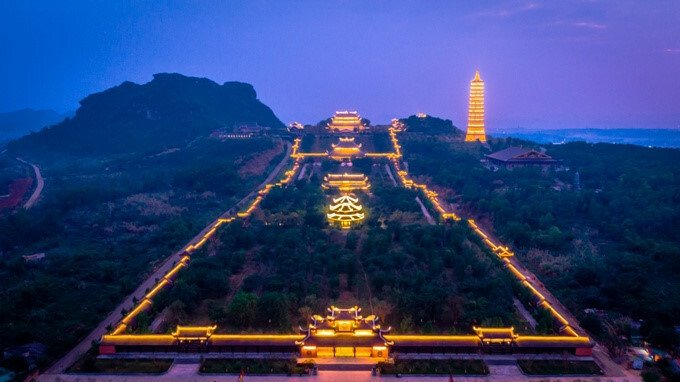 Concluding the tour, visitors can enjoy coffee on the summit of Dinh Mountain while enjoying the cool and quiet ambience of Bai Dinh pagoda at night.